Portola Valley Garage specializes in expert auto repair that far surpasses dealer-level service. Not all independent shops are the same! Our ASE-certified master technicians are kept constantly trained. We are a Gold Shield and Bosch Authorized Service Center as well as a “test only” smog station. We are are the only local eScrip merchant repair shop. We have factory diagnostic/programming equipment for BMW, MINI, Porsche, Volvo, Mercedes, Jaguar, Range Rover, VW/Audi, Saab, GM, Ford—the list goes on. An Independent never had so much diagnostic capability! Portola Valley Garage is now offering a 24-month, 24K-mile nationwide warranty on all repairs performed. Warranty details available upon request. PVG has been in the business servicing automobiles since 1948. In 1952 Martin Ramies began working for owners Al and Lindy Lindstrom. He took over the business in 1961, maintaining a high level of quality and integrity for his customers. Martin’s son, Tom Ramies, visited the garage almost every day after school, disassembling old parts and learning how they worked. He performed his first valve job on a Renault when he was just nine years old! Tom began to work full time for his father in 1977, and later purchased the business in October of 1996. For more information about Portola Valley Garage and for a complete list of our services, please go to www.pvgarage.com or call (650) 851-7442. Portola Valley Garage is located at 4170 Alpine Road Portola Valley, CA 94028. 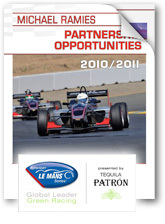 Motorsports Consultants Group is a marketing and publicity firm built specifically around the unique needs and requirements of modern motorsports teams and drivers. Formed around a group of unique individuals with years of experience from all corners of the racing industry, MCG is designed from the ground up to specifically fulfill your needs. 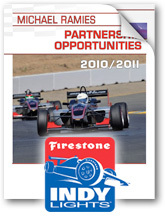 Our expertise includes marketing, public relations, graphic and web design, and driver development. Other core competencies include representation, negotiation management, sponsor acquisition, team staffing and logistics, social networking, and event coordination. 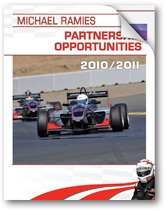 Please visit www.motorsportscg.com or call 707.750.3331 for more information.